Employment law requires that all businesses must keep records of every staff member regardless of their remuneration levels. Payroll plays an important role in almost all businesses and with complex PAYE regulations you have to be ensure that you don't fall foul of the requirements. Real Time Information, employers and pension providers. In April 2013 HM Revenue & Customs (HMRC) introduced a new way of reporting PAYE: Real Time Information, or RTI. 'Real Time Information' means that employers and pension providers will tell HMRC about PAYE payments at the time they are made as part of their payroll process. 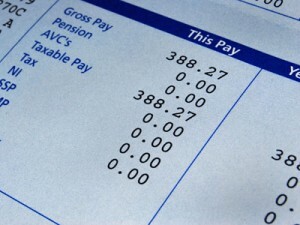 Payroll software will collect the necessary information and send it to HMRC Online. So you will submit information about PAYE payments throughout the year as part of your payroll process, rather than at the end of the year as you do now. RTI only affects the submission of PAYE information · payment arrangements will remain unchanged. Most employers are legally required to report payroll information in real time. HMRC will tell you when your business needs to make this move. · Pay & File for companies and Tax free payments for online more. · Company cars and Benefits-In-Kind and employee benefits; P11D's. · Directors' remuneration; P11D's. · Advice on minimum wage more. · Guidance on Sick pay and Maternity pay, · PAYE and NIC; P35's; P14's; P45's; P46's; P60's. · Payroll set up and provide customised payslips. · Payroll investigations. UK employers have to automatically enrol their staff into a workplace pension if they meet certain criteria. The law on workplace pensions has now changed and every employer must comply. Employers on many occasions have requested that JT Accountants set up this process to assess staff and run a good quality pension scheme for automatic enrolment and complete the Declaration of Compliance.